BHO has a mix of free and premium content. We offer both individual (see below) and institutional subscriptions to our premium content and gold page scans. The income that we make from these subscriptions allows us to maintain our website, to add new materials, and to keep the free content free. Read our sustainability plan to learn how subscriptions keep BHO growing. One-year subscription for ad-free access to over 185 volumes of transcribed premium content. 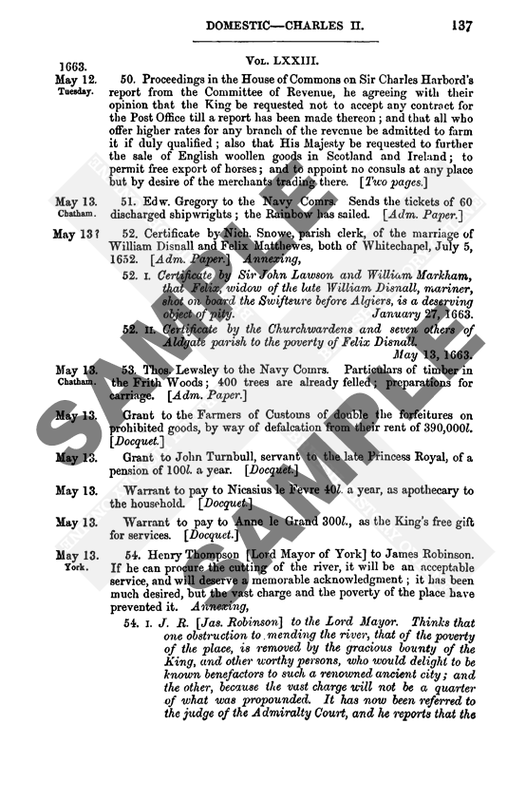 Our premium content includes high-quality transcriptions of the Calendar of State Papers Domestic, Scotland and Ireland, and the Calendar of Close Rolls, plus the Parliament Rolls of Medieval England. See a full list of the premium content available on British History Online. One-year subscription for ad-free access to all of the premium content volumes mentioned above, as well access to gold page scans. See a full list of gold page scans available on British History Online. Become a long-term member of British History Online. No need to worry about renewing your subscription every year. Not only are you saving yourself time and money, you are also helping ensure that British History Online remains a self-sustaining project in the long term. For £235, receive ad-free access to all the premium content volumes and gold page scans for 5 years. For £455, receive ad-free access to all the premium content volumes and gold page scans for 10 years. Receive one-year access to 184 volumes of transcribed premium content. Receive one-year access to British History Online's premium content and our gold page scans. Receive five-year access to British History Online's premium content and our gold page scans. Receive ten-year access to British History Online's premium content and our gold page scans. If you would like to pay by cheque please add your preferred subscription type to cart and proceed through the checkout. You will have the option to pay by cheque at checkout and will receive further instructions. Please be sure to include your order number with your cheque. If you are a Friend of the IHR or an American Friend of the IHR and you are interested in receiving a discounted subscription, please contact IHR Development. All our subscribers are a fundamental part of the British History Online community. Thank you for your support! The information we collect is username, email address and password. We will not share this information with anyone; we will only use your email address for administrative purposes, such as confirmation of successful subscription or a reminder that your subscription is about to lapse. If you pay by cheque parts of your information present on that cheque may be retained by the University of London finance system. We use PayPal to process credit card payments but we have no access to any of this information, only a confirmation from PayPal of a successful payment.